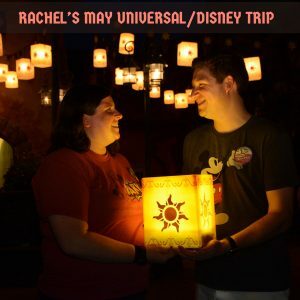 Hear all about Rachel's recent trip to Disney World that included both Universal and Disney, staying Club Level, taking a tour, and an unexpected ending to her trip. I also have a quick tip to make sure you're being considerate of other travelers during your trip. "While in Mickey's PhilarMagic on my last trip, I heard the lady behind me tell whoever she was traveling with that she wished I'd take my Minnie ears off. I immediately turned around and apologized and took them off, because I didn't want them to be in her way, but I had totally forgot that I even had them on! The lady was embarrassed that I heard her complaining and apologized, but I was happy that I heard her because I didn't want my ears to get in her way. The rest of the trip, I realized how the wearing of Minnie ears could definitely get in the way of those behind you and I tried to remember to take them off whenever we were in theater-type seating. Be thoughtful and remove your mouse ears." Listening to this Pod cast on my way to work and thinking how to do my redo trip with my husband without the kids. Why is it a redo trip well because I too went by ambulance to the hospital on my last day after collapsing in the hotel room. I was diagnosed with influenza and my poor hubby and kids ages 5 and 1 had to stay with me for 3 more days before barely making it home! I wish I had known about the travel insurance before! Great tip!